The mayor gave me bourbon! It always makes a press conference more enjoyable when bourbon is handed out. 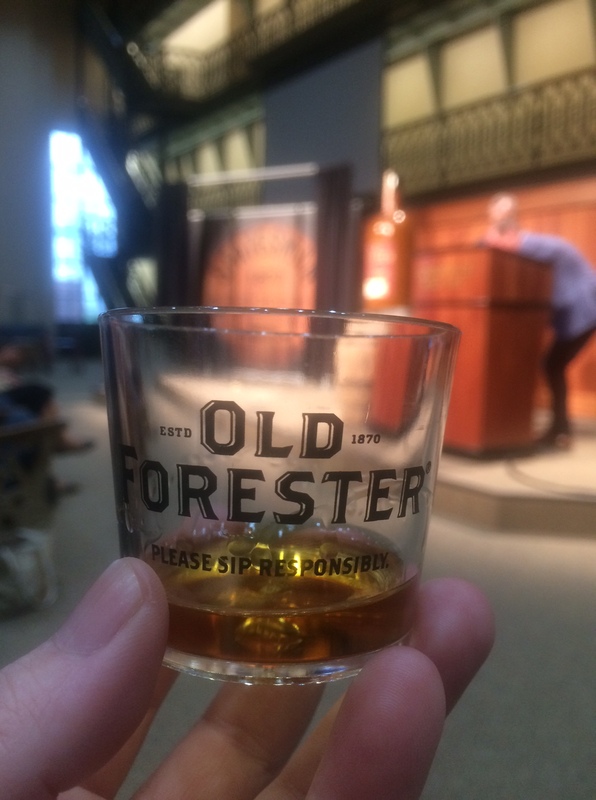 Today I covered the news that Brown-Forman is releasing a new Old Forester expression — Old Forester Statesman — to go along with the film “Kingsman: The Golden Circle,” which partly takes place in Louisville. It was fantastic — a bouquet of fruit, caramel, vanilla and baking spices in my mouth. It doesn’t come out until August, so now I have to long for it from afar … much like my dating life.